New Mob Added: Spectre - The Void Elemental, these can be found around Y level 15 and below, be it light or dark and in The End. MobSpawns can now be given an array of MobDrops to add special item drops to mobs spawned by them. Added a major config feature to make things more challenging: "Mob Level Gain Per Day". This can be set to slowly increase the levels of mobs over time, by default this is disabled. Increased Grue teleport rate against players. Ventoraptors now fall faster preventing them to be used for flight. Uvaraptors now move forwards slighty faster when airborne. Fixed the alpha channel not working on mob textures. Fixed a bug where the Wraith Sigil item model was not loaded due to the model still being called nethersoulsigil instead of renamed to wraithsigil. Incorrectly named Crimson Grues are now Scarlet Grues. ============================================================ Lycanites Mobs Update: Slip To The Void - Version 1.17.5.0 for Minecraft 1.12.2 Configs older than 1.17.3.2 will be reset. 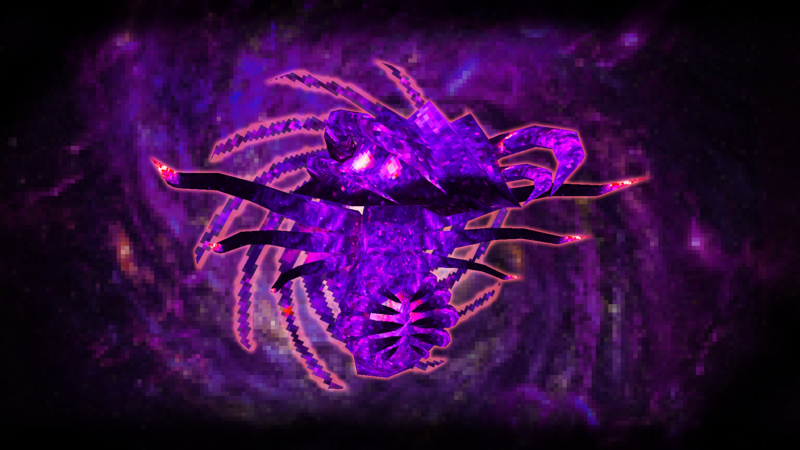 ============================================================ -------------------- New Features: -------------------- New Mob Added: Spectre - The Void Elemental, these can be found around Y level 15 and below, be it light or dark and in The End. -------------------- Config Changes: -------------------- MobSpawns can now be given an array of MobDrops to add special item drops to mobs spawned by them. Added a major config feature to make things more challenging: "Mob Level Gain Per Day". This can be set to slowly increase the levels of mobs over time, by default this is disabled. -------------------- Balancing: -------------------- Increased Grue teleport rate against players. Ventoraptors now fall faster preventing them to be used for flight. Uvaraptors now move forwards slighty faster when airborne. -------------------- Minor Fixes: -------------------- Fixed the alpha channel not working on mob textures. Fixed a bug where the Wraith Sigil item model was not loaded due to the model still being called nethersoulsigil instead of renamed to wraithsigil. Incorrectly named Crimson Grues are now Scarlet Grues.